111-HAWAII PROJECT Office donated 2% of all the project’s sales of 2016 (1/1/2016–12/31/2016) which came out to a total of $1,620.71 to KUPU, a local non-profit organization who empowers youth to serve their communities through education, and environmental stewardship opportunities. 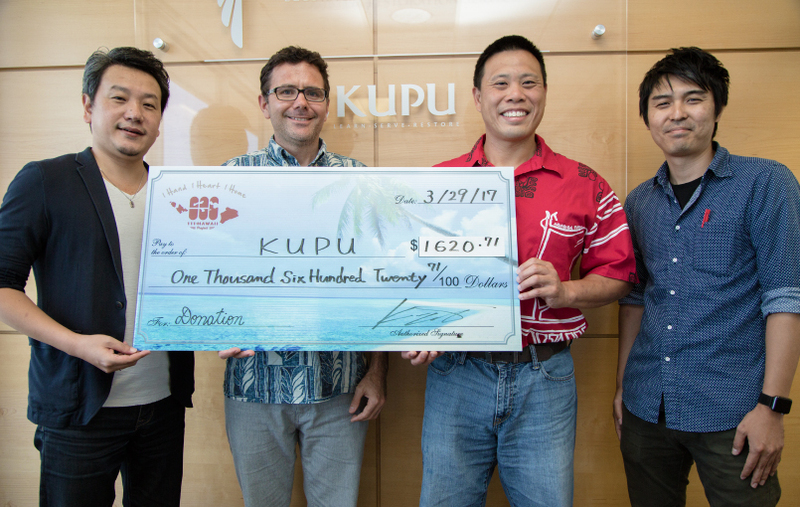 On March 29th 2017, Kuni Yamamoto (Founder) and Laron Miyashiro (Project Leader) of the 111-HAWAII PROJECT visited KUPU’s office and presented the donation to John Leong (CEO) and Matthew Bauer (COO). *The charitable foundation is selected each year. The next NPO for the 3rd period of 2017 will be announced on our website upon being selected. 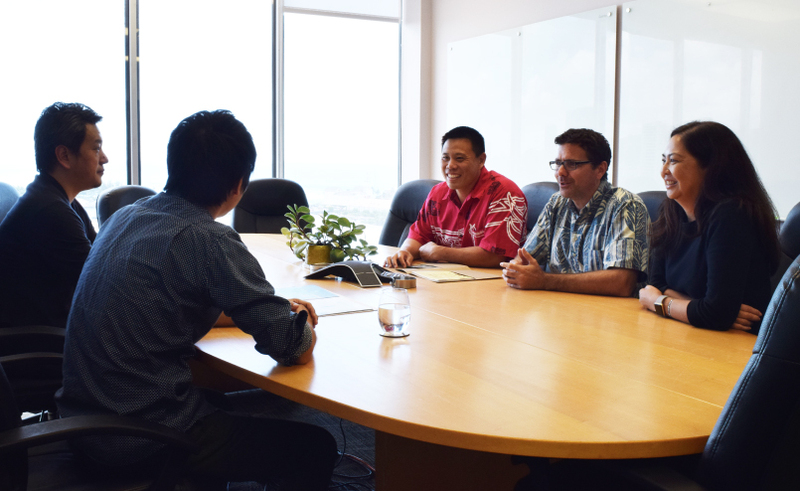 The presentation was conducted at KUPU’s office in Kakaako surrounded by a panoramic view of the ocean. Laron Miyashiro first talked about the 111-HAWAII PROJECT and its activities. John Leong then shared his activities of his non-profit organization KUPU, and expressed that the 111-HAWAII PROJECT is “a very important and wonderful project for our community, local businesses and Hawaii”. The meeting was a friendly conversation between the project and KUPU. “This donation was a very valuable result of visitors and locals purchasing our products little by little for a year. It is not much, but it is full of priceless aloha spirit towards Hawaii. I would like to present this to KUPU on behalf of all those who supported the project to raise the value of Made in Hawaii” expressed Kuni Yamamoto, and presented the donation. 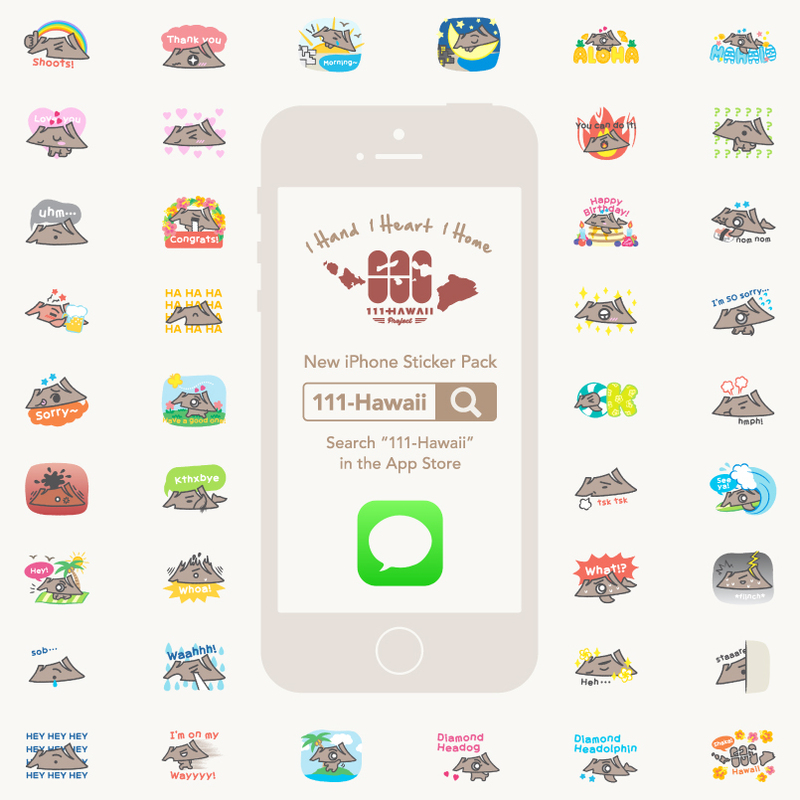 To commemorate the donation presentation of 2016, Hawaii supporting iPhone Message Stickers is now FREE for a limited time! 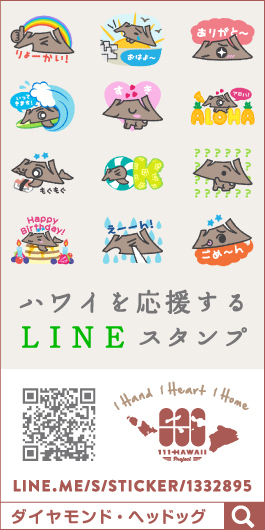 The project’s official characters “Diamond Headog” and “Diamond Headolphin”, a Diamond Head shaped doggie and dolphin, is now available as iPhone Message stickers on the App Store for FREE in commemoration of our donation presentation to KUPU! For more info, click HERE.